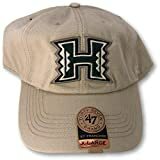 When did Hualālai last erupt? 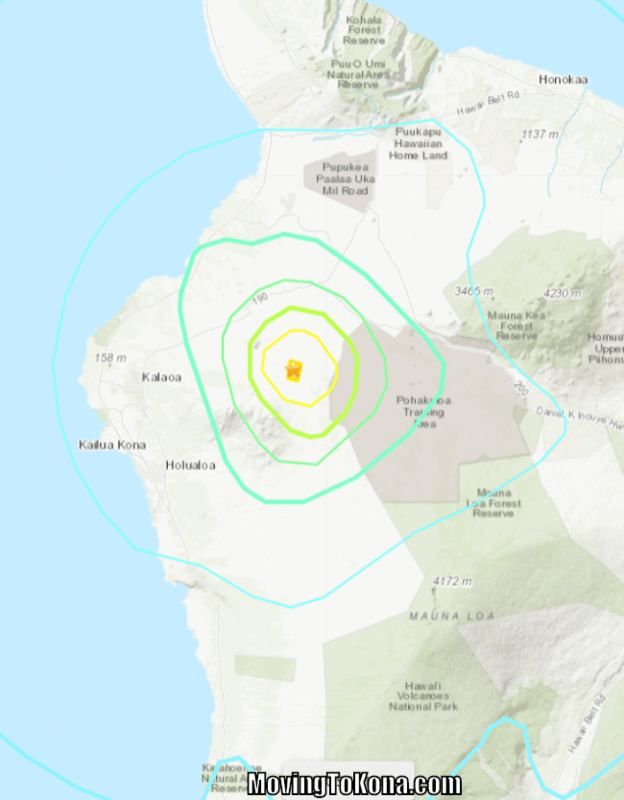 How was this earthquake different from the Kīlauea earthquakes? How many other big earthquakes have occurred this month, worldwide? 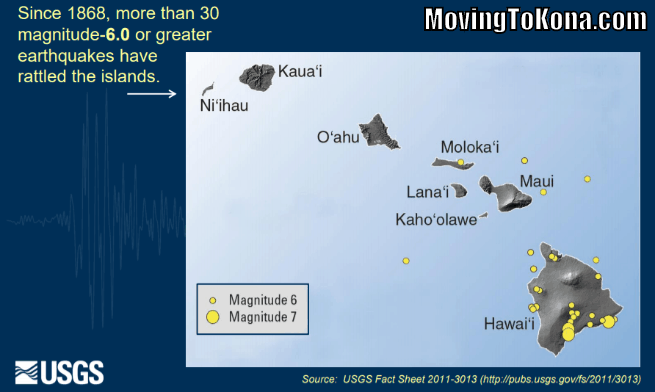 How often do earthquakes happen in Hawaii? 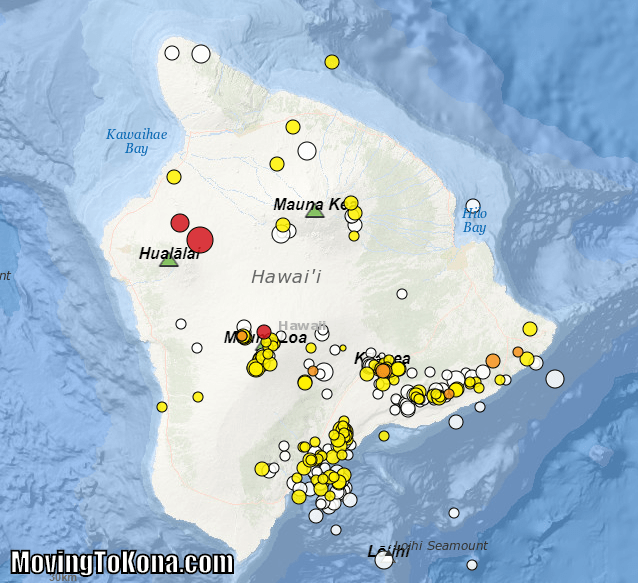 What caused the 2006 Hawaii earthquake – The last big earthquake in the Kona area? When was the last ‘really big’ earthquake in Hawaii? 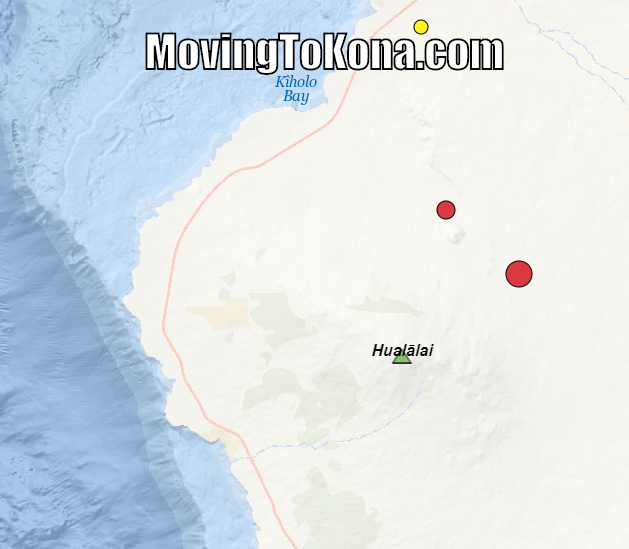 In case you are wondering… When did Hualālai last erupt? Hualālai last erupted in 1800–1801. This eruption produced very fluid alkalic basalt lava flows that entered the ocean off the western tip of Hawaiʻi island. Although five vents were active at the time, only two produced flows that eventually reached the ocean. The total output volume of the flow is estimated at over 0.072 cubic mi. One volcanic vent, situated high on the slope, produced a large ʻaʻā flow, dubbed the Kaʻūpūlehu flow, that reached the ocean as two distinct lobes. Six Other Earthquakes This Month: USGS reports ‘our earthquake’ wasn’t the only earthquake. These are worldwide earthquakes for the first half of April 2019. When was the last ‘really big’ earthquake in Hawaii? The 1868 Hawaii earthquake was the largest recorded in the history of Hawaiʻi island, with an estimated magnitude of 7.9 on the Richter magnitude scale and a maximum Mercalli intensity of X (Extreme). The earthquake occurred at 4 p.m. local time on April 2, 1868, and caused a landslide and tsunami that led to 77 deaths.